Badiang Falls is located in Valencia, some 40 kilometers away from Tagbilaran City. The rushing waters coming out from the side of a cliff pour directly to a nearby beach. 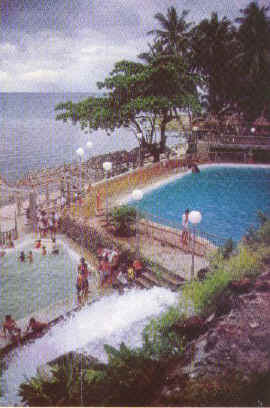 A manmade pool is built just a few meters from the bursting mini waterfalls. Visitors could also behold the splendor of the site's view while enjoying a swim in the beach.